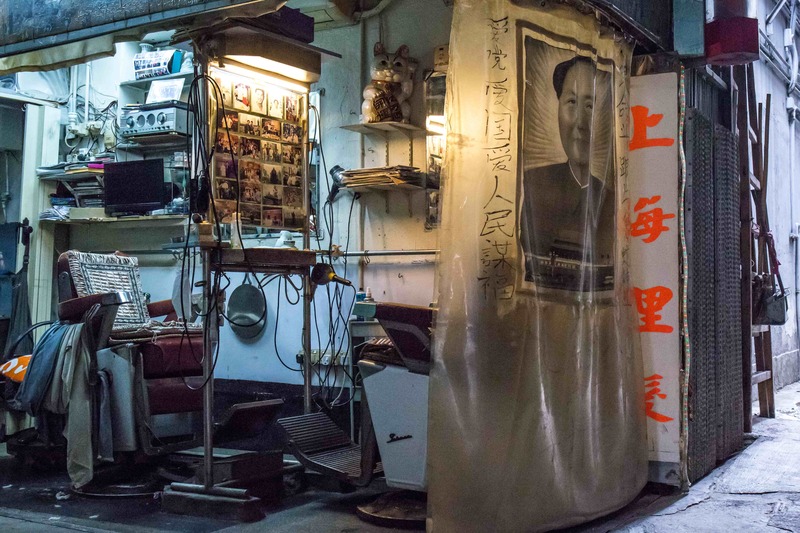 No official entrance, no doorsteps; it is just an alley-pass that accommodates family history in Barber business. 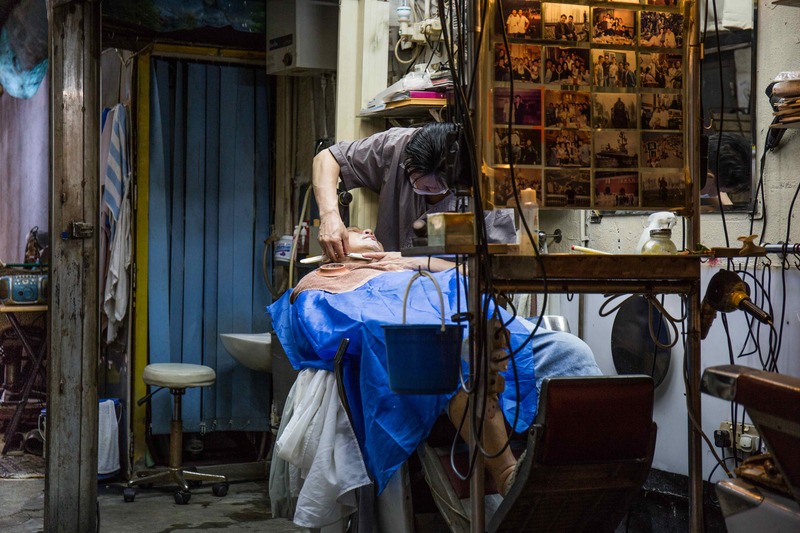 Hairs are being cut on antique chairs; beards are being shaved with old-fashioned razors in the approximately 1 m2 salons. 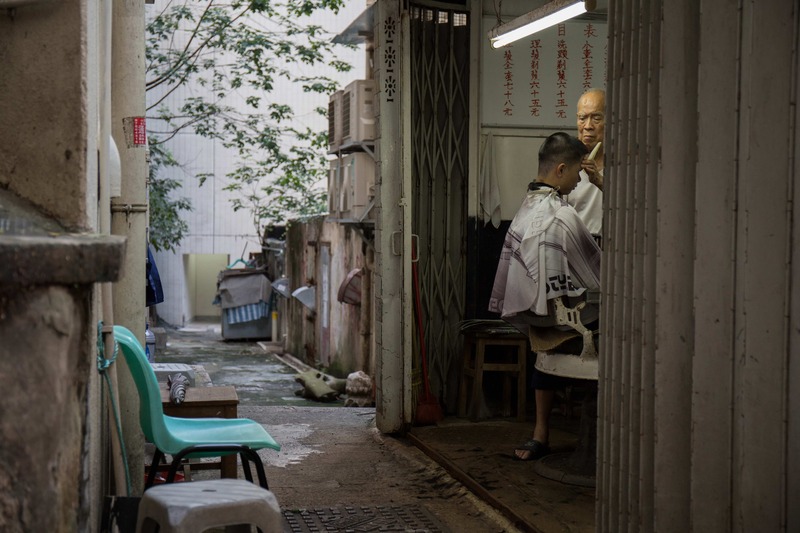 Who would think you can start a family owned business, serving generation to generation with a fresh haircut for over 50 years, in a back alley without daylight or in a street corner next to a public toilet? 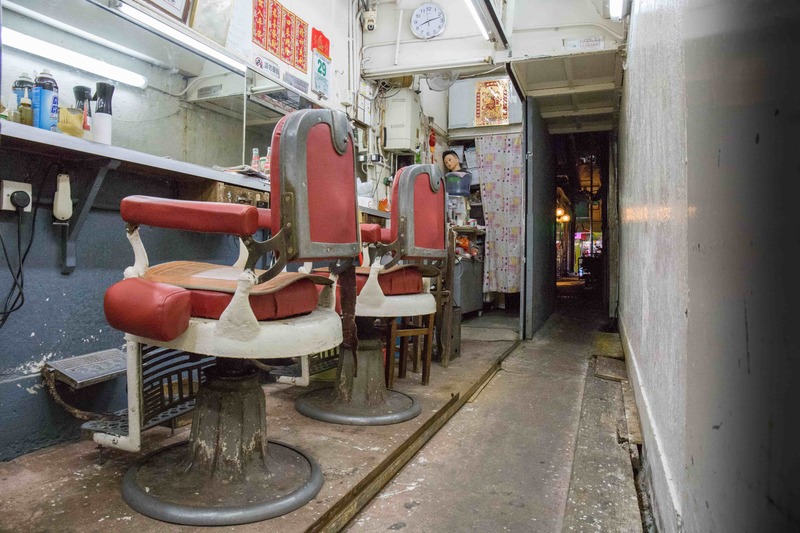 The antique chairs in the featured Barbershops hold the secrets of all the personal stories their clientele shared with the hairdresser families over the last decades. 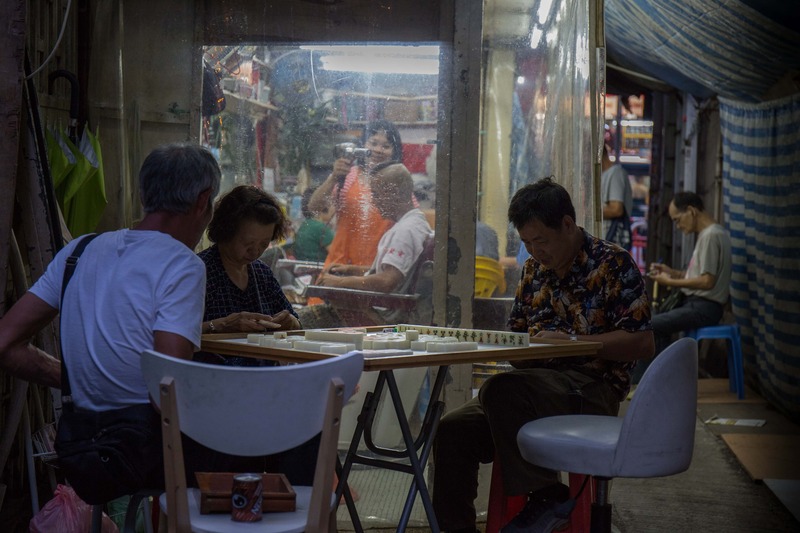 Where refugees from the Peoples Republic of China in the 1950’s once started their business in neglected alleys and left- alone street corners, now become a place to hunt for as every square millimeter has value in overcrowded Hong Kong. 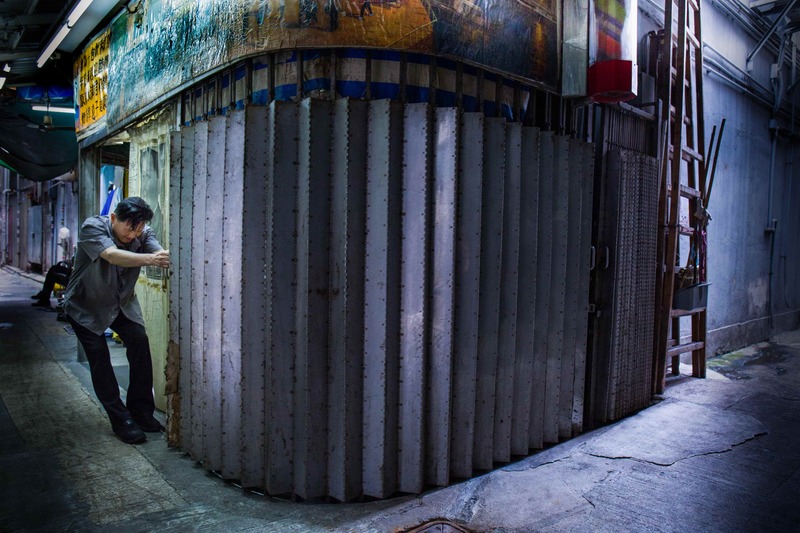 I have documented these Barbershops as they slowly but surely disappear from the streets and will be relocated behind doors and official entrances.